There is no room for error in operating room. The precise feel and operation of our regulators instills great confidence. Built under ISO13485 these devices accept our threaded gas cylinders and provide variable or fixed outlet pressures. 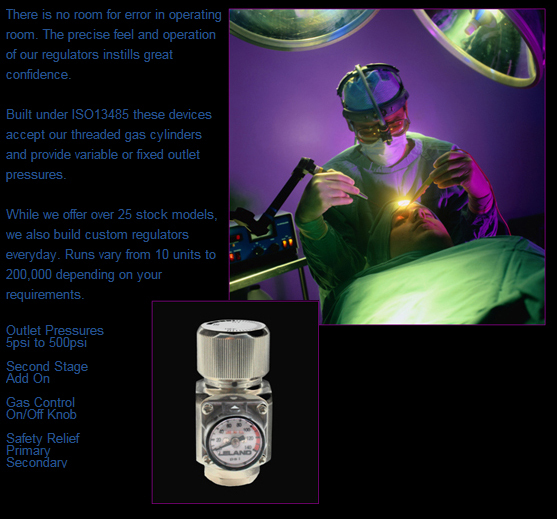 While we offer over 25 stock models, we also build custom regulators everyday. Runs vary from 10 units to 200,000 depending on your requirements. Medical Gases are prepared from bulk supply certified to standards in the country in which they will be utilized. 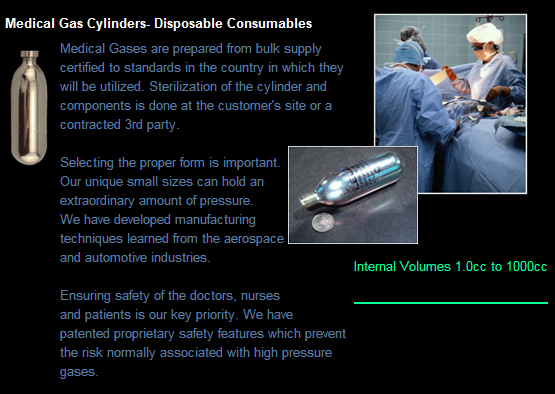 Sterilization of the cylinder and components is done at the customer's site or a contracted 3rd party. Selecting the proper form is important. Our unique small sizes can hold an extraordinary amount of pressure. We have developed manufacturing techniques learned from the aerospace and automotive industries. Ensuring safety of the doctors, nurses and patients is our key priority. We have patented proprietary safety features which prevent the risk normally associated with high pressure gases. 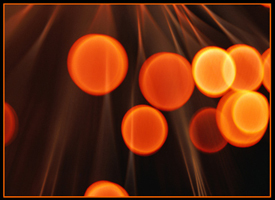 Medical products can greatly benefit from the use of our technology. You can inflate, push and power items with a pneumatic function. The process to get started is simple and straightforward. We have engineers in in North America, EU and Japan to assist you with our products.